I was an odd ball, I always loved the transmission from there to another there, but I remembered the GOOD from the place I had been. It sounds the same with you, except related more profound. One day I MUST try fly fishing!! Your life is like reading a good book. Not much wasted time to see what comes next. Our lives do read like chapters in a book. It sounds like the next chapter of your life is full of possibilities. Enjoy the down time but don't spend too much time in the past. Write a new chapter and move forward one day at a time. Your post reminds me of the days when I also had a tiny room with no window at work. I got a bigger room with one big window after a while, but it was hard for me to recover from the insult of being placed in that cubicle in the frst place. I think at a certain age, retirement is the best of possibilities. 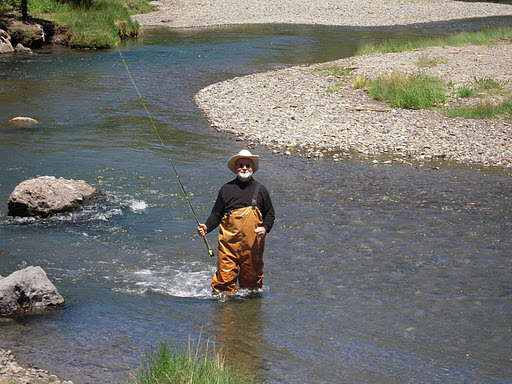 Fly fishing, sounds like a nice, stressless activity. I can feel your emotions about leaving. I know you will miss that place. I read several of your post that took us on a view out that window. But let it go. There is more out there waiting on you to discover. Now go do some yoga classes and go fishin. It is hard to move on but usually it simply means a door opening to new experiences. Enjoy fishing. Very nice outlook on the whole thing Rick, I know the feeling of leaving a long time job for the last time, and I think you are smart to take time to think over the next chapter, while of course working on your fly fishing chapter, that one is an important one to keep up with also. A great way to view tomorrow and another chapter ends but a new one awaits...just like me.